Karou is a normal 17 year old teenager... or I she? 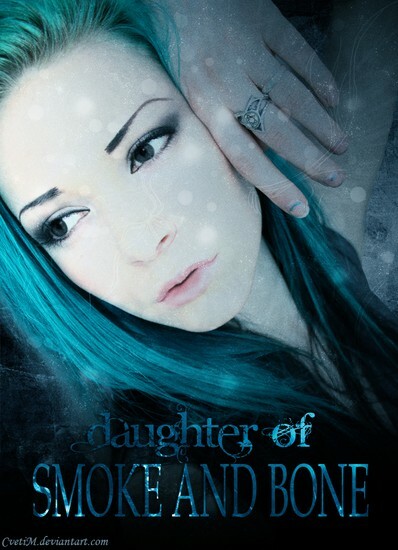 Karou lives in Prague around normal people, but she also has a connection with another world, a world of monsters. Karou was raised by monsters as long as she remembers, and collecting many different animal teeth's for her father figure Brimstone not knowing what he's up to with them. Karou's life has been all normal for her going in and out of her home. Until burned hand marks start appearing random places round the world.Meaning the angels have returned starting another war between monsters and angels. Karou tries to help and find out more about what is happening, but the portal that allowed her to connect to her family is burned down by angels. Karou is in a mission to find her family and help, but Karou ends up falling in love with one of her enemy's..........Read the book to find out more!!! !